The original Hibben thrower, based on Gil’s own karate knife design, also doubles as a functional hunting knife. Each knife is perfedtly balanced to assure uniform rotation when thrown properly. 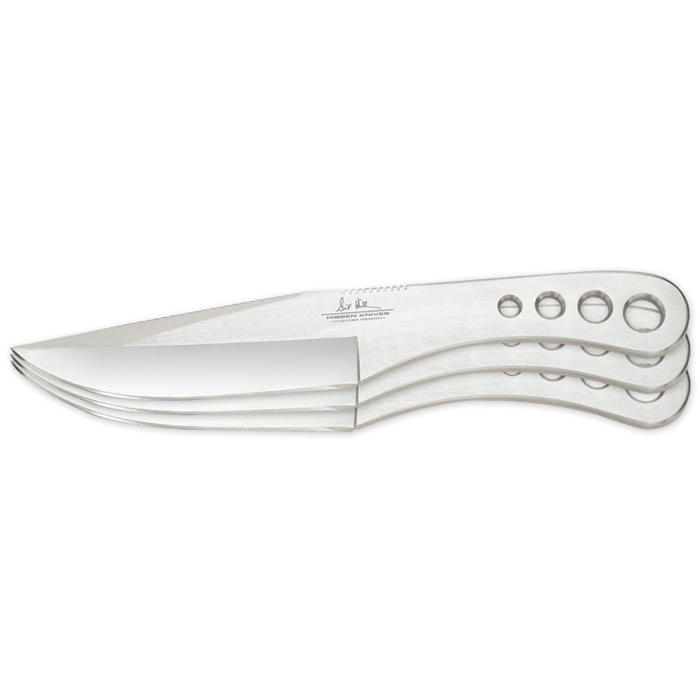 The most popular and most imitated throwing knife on the market today. . Thrower II Triple Set Overall Length: 8-1/2″ Blade Length: 4-1/8″ Blade Thickness: 3/16″ Blade Handle Material: One-peice 420 J2 stainless steel. Sheath: Gunuine brown leather Hibben Knives As the creator of some of the most widely recognized knives in the industry today, Gil Hibben’s knowledge and 45 years of experience are unprecedented in the world of custom knifemaking. Gil is the creator of the popular Rambo III bowie, specially made for the Stallone film and knives for other Hollywood productions and personalities, such as John Wayne, Elvis Presley, Steve McQueen and Steven Segal. He created the Klingon blades for the “Star Trek Experience” in Las Vegas and is “Official Klingon Armourer” for Paramount Pictures. 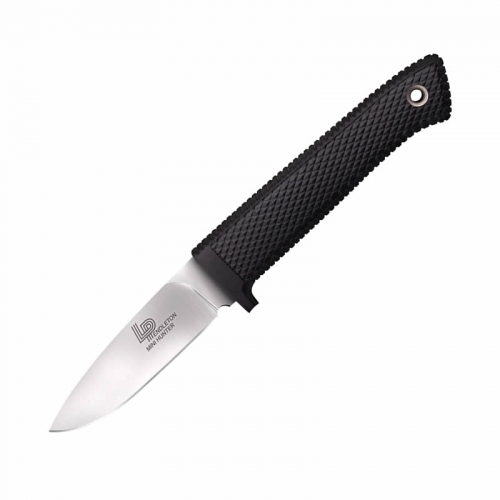 Gil produced knives for our serviceman to use in Vietman and his firsthand experience as an Alaskan hunting guide, a throwing knife expert, and a fifth degree black belt in Kenpo Karate have contributed to his creating some of the most popular knives of the 20th century.